How long will hard soda hit the spot for Americans? 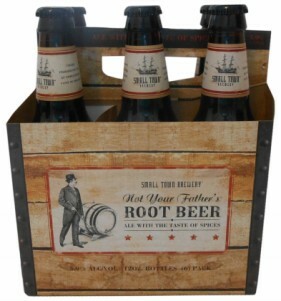 So-called hard soda has taken the US beer alternative market by storm over the past year, driven by Small Town Brewery’s pioneering Not Your Father’s Root Beer (NYF). NYF claims to be a beer brewed with spices to give it a sweeter, soda-style taste. Consumers embraced the innovative product, making NYF the third fastest growing craft brand in 2015, encouraging the brand to launch a ginger ale as a follow-up in November 2015. America’s two biggest brewers have responded quickly with innovation of their own. 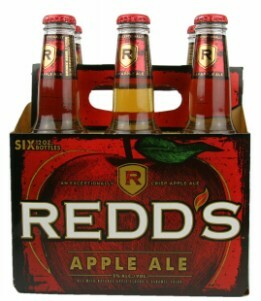 Both Anheuser-Busch InBev and MillerCoors have already seen strong growth in the “near beer” segment in recent years with the likes of Redd’s Ale and the Bud Rita series. Anheuser-Busch InBev’s Best Damn Brewing Co. released its Best Damn Root Beer in December 2015, followed by its Best Damn Cherry Cola in March 2016. MillerCoors released Henry’s Hard Soda in Valencia Orange, as well as Ginger Ale in January 2016. Boston Beer’s recent hard seltzer line, Truly Spiked & Sparkling, goes even a step further in merging soft drinks and alcohol, giving a whole new meaning to the concept of hydrating while you drink. Mintel research finds that more than two in five US drinkers aged 22+ are interested in trying products with alcoholic soda flavors such as root beer and ginger ale, with Millennials and Hispanics displaying increased interest. An interest in soda-like beers might seem counter-intuitive given the impressive US growth of craft beers over the past decade. Craft beers are dominated by more bitter flavors, but it is worth remembering that for all its growth, craft beer, whether from national brands or small local breweries, is still consumed less than light, domestic and imported beer, according to Mintel’s Beer US 2016 report. Hispanics in particular have been slow to enter craft beer, preferring instead easier drinking, lighter beers ― so beer that tastes more like soda is likely to be of particular appeal to them. Bryan Ferschinger, senior director of innovations at MillerCoors, describes Gen Xers as “the soda generation.” This means Gen Xers are likely to be especially attracted to the nostalgic pull of hard soda. Perhaps due to the recent US recession, both Millennials and Gen Xers appear especially prone to longing for the past – even one that many did not experience. For example, the “Mad Men Effect” turned many younger drinkers onto whiskey. What’s more, virtually every American drinker grew up drinking root beer (an acquired taste that leaves most other global drinkers perplexed), therefore contributing to a powerful pull toward reliving root beer in a more adult format. Whether nostalgia is enough to ensure hard soda is a trend rather than a fad is open to question. Recent learnings from the flavored malt beverage market are that while sales tend to be highly lucrative for 18 months to two years, product sales often then fall off a cliff, as fickle Millennial consumers get bored and move onto the next big thing ― or flavor. Given that most hard sodas are essentially glorified alcopops, it will be a challenge for this new category to achieve a different outcome. However, it will be interesting to see whether nostalgic-themed marketing and heavily targeting Millennials and Gen Xers will help hard sodas avoid such a fate. Hard soda also faces a potential backlash that it is encouraging under-legal age drinkers into alcohol ― an issue that all but destroyed the prosperous UK alcoholic alcopop market a decade ago. Therefore, taking steps, exaggerated ones if necessary, to maintain an adult image for hard sodas will be essential to the category moving forward.